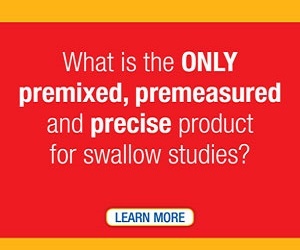 The National Foundation of Swallowing Disorders is offering a series of patient-centered webinars on the latest research on swallowing disorders. Experts in the field of swallowing disorders will present information on topics such as tongue stem cell research, nutrition, and aspiration pneumonia, as they relate to swallowing disorders. If you are a Speech Language Pathologist (SLP) or know someone with a swallowing disorder, please share this web page with them. Please find a list of future speakers and topics listed below! Description: Pneumonia is a breathing condition in which there is swelling or an infection of the lungs or large airways. Aspiration pneumonia can occur when food, saliva, liquids, or vomit is breathed into the lungs or airways leading to the lungs. 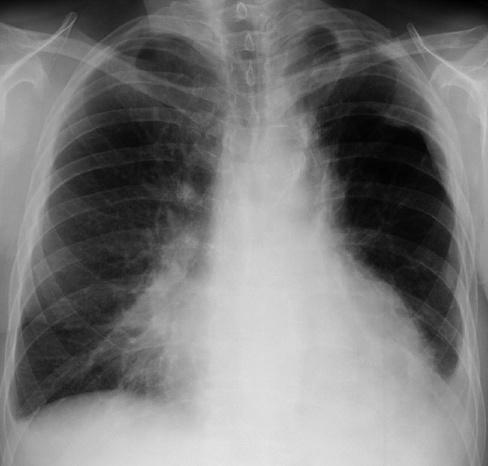 This presentation will cover the risk factors, symptoms, assessment, and treatment for aspiration pneumonia, as aspiration pneumonia can be a serious life-threatening complication for those with swallowing disorders. Bio: Tiffany Mohr is a speech-language pathologist at the Department of Veteran Affairs in Houston, Texas. She works with Veterans who require Diagnostic and Treatment services in the areas of communication, cognition, respiration, swallowing, voice, and head and neck cancer. Tiffany Mohr received her M.A. degree in Communication Disorders from the University of Houston in 1999 and has been providing speech-language pathology services to those of all ages for nearly 15 years. Cost: 2014 Members = Free! The NFOSD is an all-volunteer, 501(c)(3) organization and all donations, including membership fees, are tax deductible. Benefits of an annual membership include a faster delivery of our “Swallowing Disorders can Affect Anyone” tri-fold, a discount on patient-oriented dysphagia webinars, automatic sign-up for our “Small Bytes” e-newsletter, access to our Medical Advisory and select Foundation board members on an as-needed basis, and inclusion of your NFOSD support on your resume or CV. Fee Disclaimer: Fees must be paid online through the secure PayPal system. You can use a PayPal account or a credit card within PayPal. The fee will be refunded if you end up with a poor Internet connection to the Webinar; it will not be refunded if for some reason your plans change and you could not attend. If you cannot afford the fee and think that the webinar would be beneficial, please email info@nfosd.com for a fee waiver. Please add this to your calendar. All you need is a computer with sound capabilities, a web browser, and a reasonable Internet connection. To sign up, click the link below. Once you fill out the registration, the page will refresh and there will be a confirmation message that your registration was received. Click Here to register. Seats are limited, so register now. We hope you are able to attend this event! Please visit our Frequently Asked Questions page for information on becoming a member, webinar fees, time zone assistance, and other useful information. Description: Age-related muscular atrophy, or sarcopenia, is linked to the decline in head and neck muscle strength observed with advancing age and is a key cause of dysphagia. Reduced muscle strength leads to lower oropharyngeal pressure generation for safe propulsion of food and liquid through the mouth and throat. 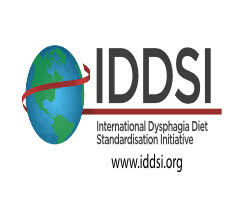 This decline in pressure generation has important clinical implications in that older individuals are at increased risk for dysphagia when they have acute or chronic medical conditions such as stroke, head and neck cancer or Parkinson’s disease. Isometric Progressive Resistance Oropharyngeal (I-PRO) therapy for the muscles of the oropharynx is an emerging rehabilitation technique for dysphagia that strengthens the muscles of the mouth and throat. The purpose of this presentation will be to review I-PRO therapy and present data from recent studies that support its clinical use. Bio: JoAnne Robbins, PhD, CCC-SLP, BCS-S is a Professor at the University of Wisconsin-Madison in the School of Medicine and Public Health with affiliations in the Departments of Medicine, Radiology, Nutritional Sciences, Food Science and Biomedical Engineering and is Associate Director of Research for the Geriatric Research Education and Clinical Center (GRECC) at the William S. Middleton Memorial Veterans Hospital. Dr. Robbins is the founder and director of the UW/VA Swallowing Speech And Dining Enhancement (SSWAL-ADE) program and is known nationally and internationally as a leader in the area of swallowing disorders and dysphagia rehabilitation. She has received continual federal funding for innovative clinical research from the National Institutes of Health (NIH), the Department of Veterans Affairs and the United States Department of Agriculture since 1984 while continuing a clinical practice, as it is the patients who fuel Dr. Robbins’ research program. More than 70 peer-reviewed publications demonstrates the immense impact that Dr. Robbins’ science has had not only on the profession of speech pathology, but also on the fields of neurology, otolaryngology, gastroenterology, gerontology, neuro-rehabilitation, nutrition and food science. Bio: Jacqueline Hind is the Program Manager for the Swallowing Speech and Dining Enhancement Program and Senior Speech Pathologist at the University of Wisconsin-Madison School of Medicine and Public Health and the Madison VA Geriatric Research, Education and Clinical Center and the Director of Clinical Development for Swallow Solutions, LLC. She is a Board Certified Specialist in Swallowing, has more than twenty publications in peer-reviewed journals and holds a US patent through the Wisconsin Alumni Research Foundation. Description and Bios Coming Soon! Description: Finding the right medical professional to help with a swallowing disorder can be very challenging. Different medical specialists address different types of problems. This webinar will describe the basics of a variety of swallowing problems. The different physician specialists will be described (e.g., ENT, gastroenterologist, radiologist). The role of the speech-language pathologist in evaluating and treating all types of problems will be described as well as what specialty certifications are needed and how a specialist can help. The function of a multi-disciplinary team will also be addressed. Bio: Nancy B. Swigert is the director of Speech-Language Pathology and Respiratory Care at Baptist Health Lexington at their acute care facility in Lexington, KY. She is a Board Certified Specialist in Swallowing and Swallowing Disorders (BCS-S). She is an adjunct faculty member at the University of Kentucky. She has authored six publications with Linguisystems (one on adult and one on pediatric dysphagia) and she lectures extensively in the areas of pediatric and adult dysphagia. She received her master’s degree from the University of Tennessee-Knoxville. She currently chairs the American Board of Swallowing and Swallowing Disorders. She was president of the American Speech-Language-Hearing Association in 1998 and chaired the Special Interest Group on Swallowing for three years. She is on the Medical Advisory Board for the NFOSD. Description: Elevation of the hyoid and larynx help to close the vestibule to protect the airway during swallowing. Individuals with dysphagia sometimes have reduced or delayed hyo-laryngeal elevation, which can put them at risk for aspiration. Surface electrical stimulation is currently used during therapy for dysphagia. Dr. Ludlow’s presentation will provide recent information about the physiological effects of surface electrical stimulation during swallowing and what evidence is available on whether it is effective as a therapy for patients with dysphagia. Presenter: Dr. Christy Ludlow is currently a Professor at James Madison University (JMU) in the Department of Communication Sciences and Disorders where her research interests include manipulating neural control for dysphagia rehabilitation. Dr. Ludlow received a B.S. degree in physiological psychology and an M.S. degree in speech pathology and audiology from McGill University. After completing her clinical training, she received her Ph.D. in speech pathology and psycholinguistics from New York University. Dr. Ludlow then moved to the National Institute of Neurological Disorders and Strokes (NINDS) in 1974 where she supervised grants and contracts on voice and speech research. In 1988 she moved fulltime to the intramural program and developed a laboratory program studying the neural control of voice, speech and swallowing. 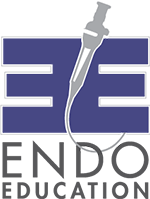 Dr. Ludlow received Honors of the American Speech-Language-Hearing Association in 2005 and the 2006 Award of the American Laryngological Association. Dr. Ludlow’s research covers the neurological organization and control of laryngeal function in voice, speech and swallowing, the pathogenesis of idiopathic voice and speech disorders, and the effects of functional electrical and sensory stimulation in severe swallowing disorders. Description: Dr. Belafsky has been preparing for an FDA clinical trial at UC Davis involving the implantation of adult human stem cells into the tongues of patients with swallowing impairments. While stem cells have been used successfully in the treatment and repair of other human organs and tissue (e.g., restoring sight to the blind), this will be the first time stem cells have been used in a process to strengthen and restore a vital part of one’s swallowing function. During this presentation, Dr. Belafsky will discuss the science behind this trial, the current status of this initiative which began almost a year ago, the Institute for Regenerative Cures (IRC) where the stem cells work is taking place, the process of growing adult human stem cells, and the anticipated target date for when this will become an FDA approved human trial which in turn will allow for the recruitment of human subjects and the actual implantation of their stem cells into tongues which have become compromised due to illness or accident. Bio: Dr. Belafsky is Professor and the Director of the Voice and Swallowing Center at the University of California, Davis. He holds a joint appointment in the Department of Otolaryngology at the UC Davis School of Medicine and the Department of Medicine and Epidemiology at the UC Davis School of Veterinary Medicine. He is the recipient of numerous awards and grants and was the lead investigator on the World’s 2nd laryngeal transplantation. He has authored over 100 peer-reviewed manuscripts, holds numerous patents, has edited and authored 4 books, is the co-founder of two medical device start-up companies, and was the President of the Dysphagia Research Society in 2013. Dr. Belafsky’s primary research focus is the innovative treatment of profound swallowing disorders. He has created a medical device that can manually control the upper esophageal sphincter, is working on an innovative dilator for upper esophageal sphincter stenosis, is developing a comprehensive swallow propulsion system, and is evaluating the use of muscle stem cells for dysphagia rehabilitation. He has dedicated his career to improving the lives of people with profound swallowing impairments. He is also the Medical Director of our foundation, the NFOSD.